Another year has passed and it’s almost 2016 so what better way to end the year than to share with you my top 10 Beauty Products of 2015, I found this pretty hard to narrow down because I have come across some absolute gems this year however these have all been a staple in my makeup bag and a go to for events so let’s get started and I’ll tell you what I’ve been loving. When it comes to doing my makeup the most important part for me is the base, I am literally all about the base and although contouring has been around for quite a while now I have learnt to tone things down a little this year and have opted for a more natural and subtle contour on a day to day basis. I have come across a couple of products that really help me achieve that and those are two powders by Anastasia Beverly Hills, I like to use the Banana powder (click to buy) to highlight and set and concealer highlighter I have done and I then go in with the shade Fawn (click to buy) to contour. Fawn is a really nice neutral shade, it’s not to warm so creates the perfect shadow which is what contouring is all about and it really just works with my complexion. 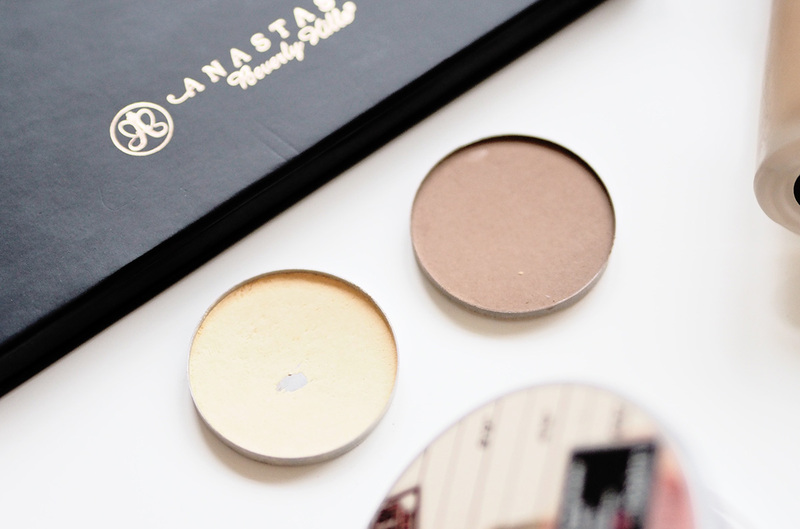 There is another product that made it’s way into my makeup bag this year when contouring but this was mainly used for my full makeup looks so when I really wanted to go all out with the contour I’d always come back to L.A. 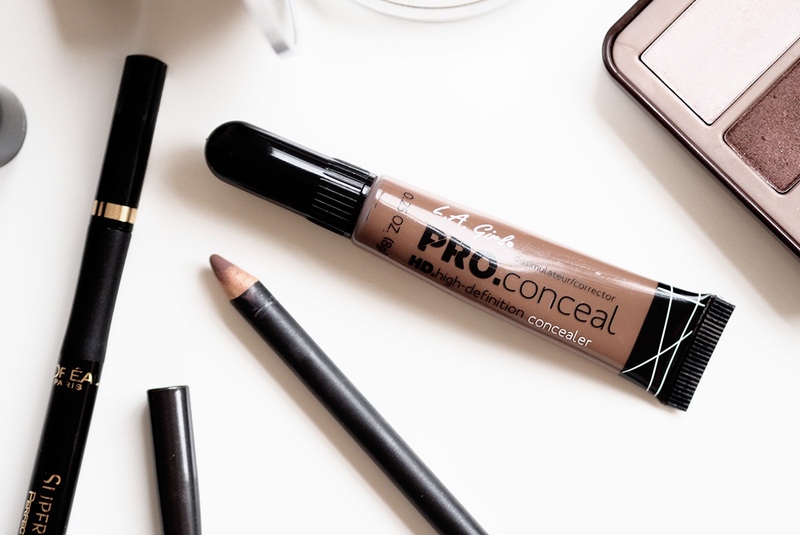 Girl PRO Conceal concealer, I use this in the shade Beautiful Bronze and it’s the perfect product to contour with and it’s really easy to work with also, the small brush tip allows you to be really precise with where you put your contour and it also blends in beautifully. 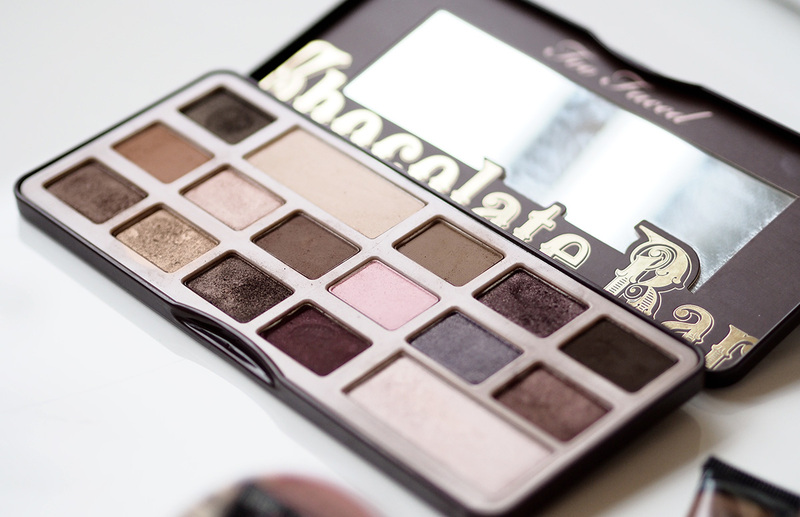 When it comes to the eyes there is one palette I always reach out for and that is the Too Faced Chocolate Bar Palette (click to buy), my gosh this palette has got some good use out of me this year and it may have popped up in a few favourites videos too but all for great reasons of course. I’m all about warm bronzey shades and this palette offers just that, it has a nice range of colours and finishes and the shadows themselves are super pigmented and a dream to work with it is by far my favourite and most used palette of 2015. Now for liner I have to admit I’m rather fussy, I like something that’s easy to use because I’m not the best at winged liner and it has to have enough pigmentation to last me all day. 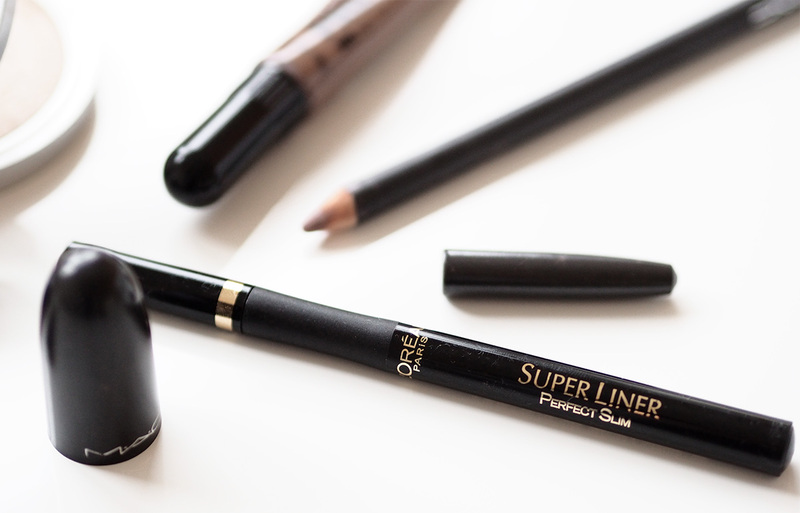 I do rub my eyes quite a lot without even realising so to have something that lasts is essential for me and a liner I have found myself repurchasing throughout the year is the L’Oreal Super Liner Perfect Slim (click to buy), this is ideal for those that are not great at liner application the fine nib allows you to be precise without making a mess of your eye makeup and it’s super comfortable to hold which makes everything much easier to control. I couldn’t write this post without including a highlighter as you all know that’s probably my favourite step of makeup application, highlighter literally gives me life and brings my whole makeup look together I literally feel like my skin just looks so much better when I add this final step so it will be no shock to you that my favourite of 2015 is The Balm Mary Loumanizer (click to buy), seriously if you’ve not tried this yet then you need to add it to your shopping basket right away. 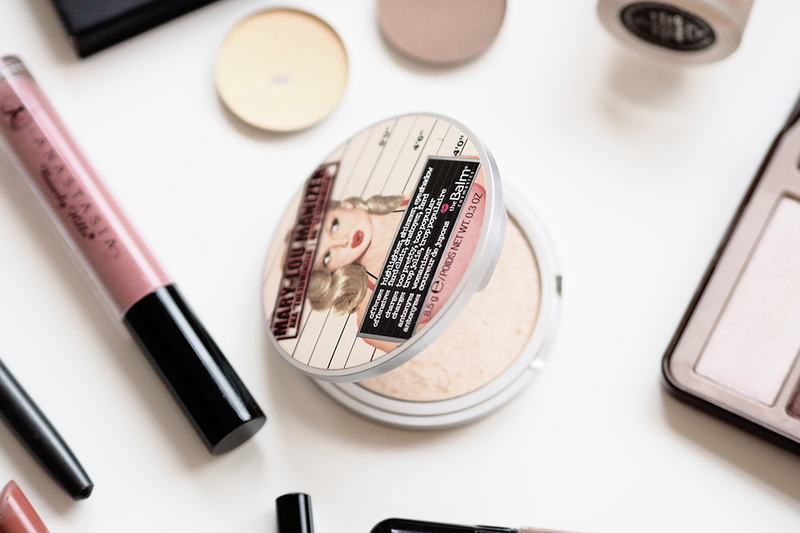 It’s the perfect highlighter that can be built up or worn more subtle, it is one I opt for on a daily bases and a little goes a super long way. This year has to be the year of the muted brown lip for me, I believe I have Kylie Jenner to thank for this discovery because I don’t think I would have tried a shade like this beforehand. I use to stick to more sheer lipsticks and pink nudes but this year I found myself the most perfect lipstick and that is Mac Velvet Teddy (click to buy), this is my go to lipstick now and I seriously couldn’t love it anymore! It’s a gorgeous matt brown lipstick that just works really well with my skin tone and complexion, I like to pair this up with two lip liners either Mac Subculture (click to buy) or another that’s quite new to my collection Mac Whirl (click to buy). Both liners are perfect with this lipstick, Subculture being liner you could wear with most lippies and Whirl a more intense brown that defines the lips perfectly. Finally I don’t always opt for a lipstick, sometimes I like a bit of gloss and shine so my go to product for that is Anastasia Beverly Hills lipgloss in Vintage, it’s a beautiful dusky rose pink with a hint of shimmer that glistens in the light, it’s still within that muted brown palette that I’ve been loving but going slightly back to my old ways with the touch of pink, It’s a beautiful shade that goes with most makeup looks that I usually wear so a must have indeed! 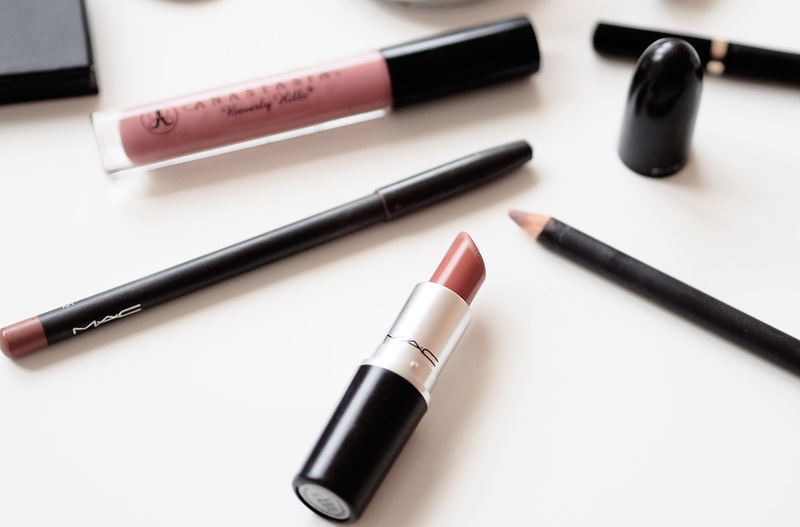 What has been your favourite beauty product of 2015, any you’ve spotted here that you now need?